Karok Returns, and he's Hunting for the Champion of ICE! Complete the story quests to unlock the FrostSpawn Horde WAR! 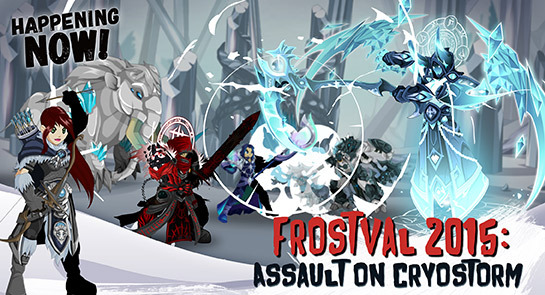 Once you've helped the villagers of Cryostorm decorate for Frostval... it's time to WRECK the halls, because the Horde is invading, and they'll need your help to stop it! 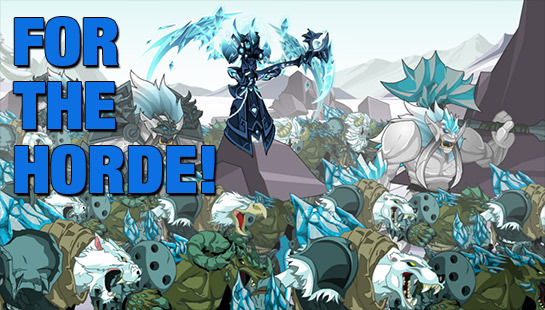 After completing the storyline in Cryostorm, /join CryoWar and take on the Frostspawn Horde! 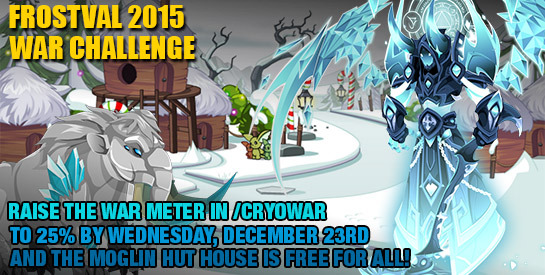 If you can get the war meter to 25% before Wednesday, the 2-room Moglin Hut house will be free for EVERYONE! A 3 room version (armor customization room!) MAY unlock... if you defeat the second challenge! But you won't find out about that until the first one is won... or lost!